Changes in technology and consumer behaviour have led to a complete reshape of the retail universe. Revolution of shopping and the growing demand for exceptional customer experience is the driver in any retail business, online and onsite. There are several questions about the future. One most central being, what does it take to succeed in tomorrow's retail landscape? To be ready for the future, the industry needs to meet, exchange experiences, share knowledge, make new contacts and create relationships. 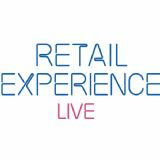 Easyfairs is launching a new international meeting place for the retail industry, called the Retail Experience Live with the grand opening in March 2019 in Helsinki.